What is phone camera aperture? What does an f/2.2 camera mean? Camera aperture controls the brightness of the image that passes through the lens and falls on the image sensor. It is expressed as an f-number (written as "f/" followed by a number), such as f/1.4, f/2, f/2.2, f/2.8, /f4, f/5.6, f/8, f/11, f/16, or f/22. 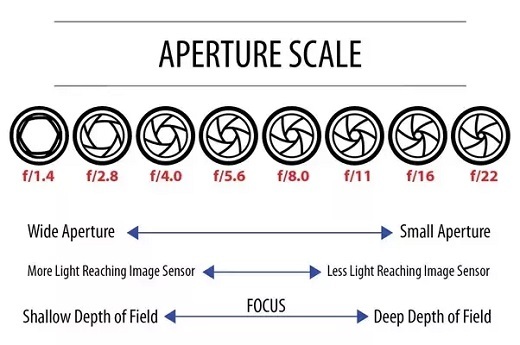 A camera with a higher f-number is capable to take pictures with a smaller aperture, which will result a longer range of the focus field. So, a camera with a higher f-number is better.